What does word love mean to you? Is it just an emotion? No, I don’t think so. Love is something that makes the world go round! We exist because of love. So should there be a particular day when you celebrate love? Not really! I believe every day should be your love day! So I have got to share with you something very healthy and super tasty recipe that will not only win the heart of your loved ones but also will be very good for their heart – Healthy Blushing Glory Smoothie. My aim is to blend love and health together! So I’m celebrating love with a dash of blushing glory that is power packed in a smoothie! As the name says blushing glory it has so much positivity which will replace your regular breakfast with a really healthy and nutritious! As strawberries are in season right now which gives lovely colour to this smoothie. You can add any of your favourite fruits to it. It’s really thick, creamy and delicious! This is a smoothie on the go! You can carry this smoothie also to work. If it’s a middle of the week you don’t have time to create anything special? This is special enough! Why not on this Valentines Day share the love with a healthy Blushing Glory Smoothie? Blend all the ingredients in a blender until smooth. Garnish with almond slivers. So let’s take a pledge to stay healthy! Cheers! Enjoy cooking and keep celebrating love! Do share your Valentines experience with me. Till then stay tuned for more recipes on Happy Tummies Around the World. 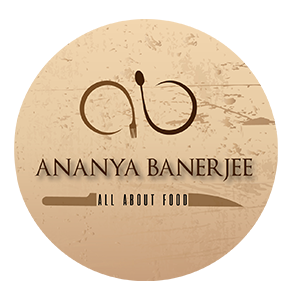 Previous Post Nostalgia Reloaded – The outstanding Bengali food that​ will make you crave for more!